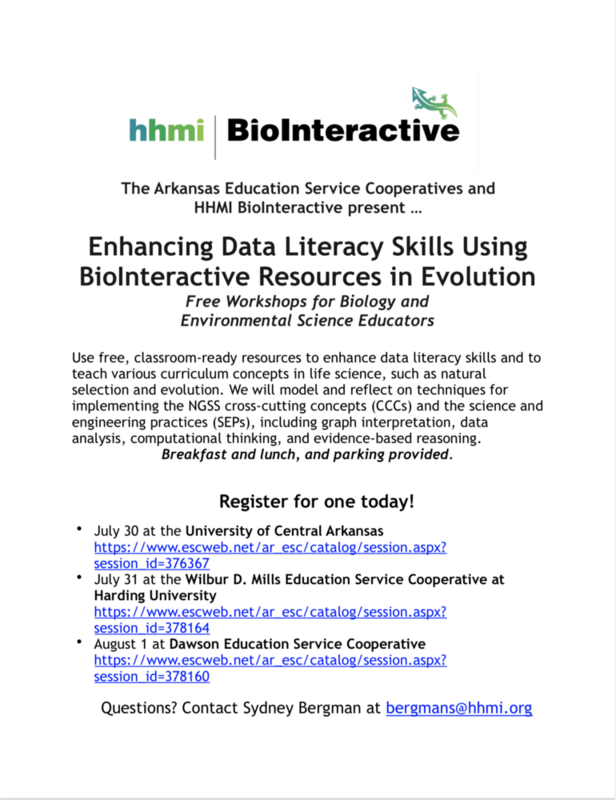 Use free, classroom-ready resources to enhance data literacy skills and to teach various curriculum concepts in life science, such as natural selection and evolution. We will model and reflect on techniques for implementing the NGSS cross-cutting concepts (CCCs) and the science and engineering practices (SEPs), including graph interpretation, data analysis, computational thinking, and evidence-based reasoning. Breakfast and lunch, and parking provided.